Top-Rated SellerNeillsDeals consistently earns high ratings from buyers thanks to fast shipping and excellent service. 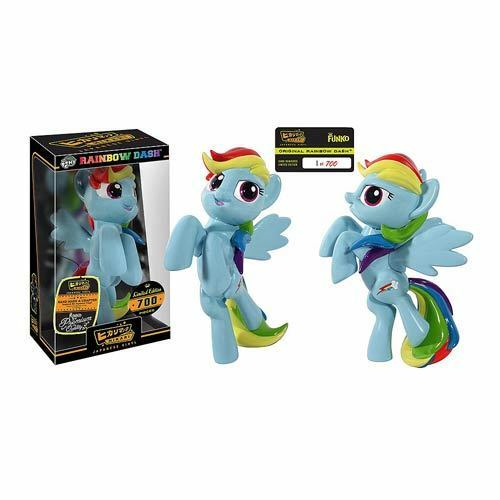 2015 Limited Edition Original Rainbow Dash Hikari Vinyl Figure 2015 Limited Edition My Little Pony Rainbow Dash Hikari Vinyl by Funko From the super-popular My Little Pony: Friendship is Magic animated TV series, Rainbow Dash is the perfect candidate to join Funko's line of Hikari figures! 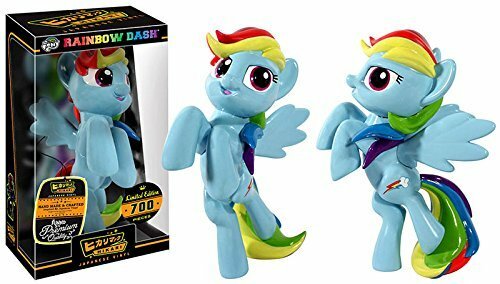 In her trademark light blue, blue, green, yellow, and red colors, Rainbow Dash will prance her way into the heart of your collection. The My Little Pony Original Rainbow Dash Hikari Sofubi Vinyl Figure stands approximately 10 1/4-inches tall, comes in a window display box, and is a limited edition of only 700 pieces. Ages 14 and up. For ages: 14 and up New in Box Ages 14 and up. PLEASE NOTE: All are numbered, and the one in the top image saying 1 of 700 is just to show what that labeling looks like and is for information only. WARNING: CHOKING HAZARD -- Small parts. Not for children under 3 yrs. Thank you for looking! We prefer/accept Paypal. Thank you. We usually ship within 1-2 days after payment is received. Special or Custom Orders take longer. International Buyers, please note: Customs, Import or Duty Fees are not included in the price of the item or shipping costs. Those Fees are the Buyer’s Responsibility. Thank you.